At Murphy’s Law, APLC, we dedicate ourselves to achieving results for our clients. Our lawyers provide cost-effective representation and advice in areas that include personal injury, car wrecks, employment law and general litigation matters. 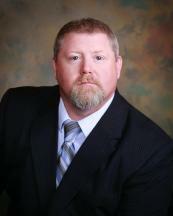 Joel K. Murphy has been practicing law since 1993. He is a graduate of the University of Louisiana-Monroe (B.A., 1990) and the University of Wyoming, College of Law (J.D., 1993). A seasoned litigator on both sides of the bar and a certified general civil litigation mediator, Joel also has experience working in the insurance industry. Joel is a strong advocate for injured parties and their families and is known for working tirelessly to help his clients protect their rights and reach their goals. To know more about Joel, click here. 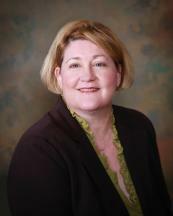 Karen D. Murphy has been practicing law since 1997. She is a graduate of Louisiana Tech University (B.S., 1984) and the Louisiana State University, Paul M. Hebert Law Center (J.D., 1997). Karen handles litigation of civil rights and employment-related cases in federal court and has argued numerous appeals at the federal and state levels. Contact Murphy’s Law, APLC, for a free consultation regarding your legal matter. Our offices are located in the Gonzales area, but we serve clients throughout Louisiana.